paperback; arc -- thank you! Antidote to Venom is, as Martin Edwards reveals in the novel's introduction, a "two-fold experiment" on the part of the author. 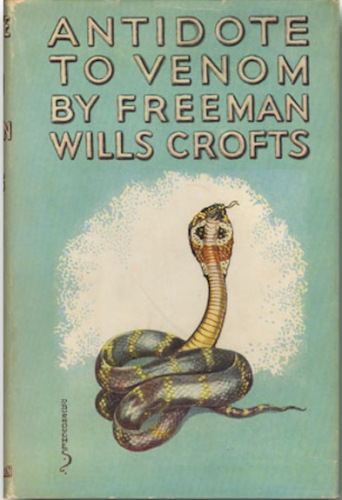 Beginning in 1934 with his The 12:30 From Croydon, Crofts had "began to vary his approach," and gave his readers an "inverted story" instead of the more traditional detective format. Antidote to Venom takes the inverted detective story another step beyond and adds in "questions of morality and religious faith," as part of his experiment. Like other "leading" crime authors of the time, Crofts employed the trending shift "away from the cerebral puzzle," moving toward a "psychological study of character." This experiment certainly paid off, in my opinion, offering readers a look at a bizarre but innovative crime, but more importantly, exploring the psychological aspects of a murder and its aftermath. The central character is George Surridge, who is the director of the Birmington Corporation Zoo. As such, he has "good social position in the city, an adequate salary," and free housing. George is married to Clarissa, who wonders why George never seems to have money enough for things she wants. As time goes on, George falls out of love with his wife; during their ten years of living in Birmington, their relationship had "slowly deteriorated." George has another big problem -- his gambling has left him in debt with a "continued drain on his pocket." He is relying on his old aunt Lucy Pentland to solve all of his money woes, but only after she's dead and his inheritance is safely in the bank. There's another reason George finds himself in need of cash; he's met and fallen for another woman. Working as companion to an older woman, Nancy crosses path with George and they begin a relationship that ends up with George settling Nancy into a small cottage he can ill afford, another reason to wait rather impatiently for old Aunt Lucy's demise. But when the old lady eventually passes away, George discovers that something has gone dreadfully wrong -- and that banking on his expectations was probably not a good idea -- and now his future lies in ruins. When a plan is presented to him that offers a chance to hopefully set things right, he feels he has no other choice than to go with it. It leaves him "faced with one of the major decisions of his life," as he is asked for help in committing a murder. Once the deed is done, George begins to unravel, and as this part of the story progresses, George finds himself burdened with guilt. Through the process of investigation, inquest and verdict, George keeps telling himself to stay calm and act normally, and he may just be able to ride out the storm. He is overcome with relief then, when the inquest proceedings come to a close and the death is ruled an accident. But wait. A chance remark from someone familiar with the case reaches the ears of Inspector French of Scotland Yard, and after reading the facts of the case, he decides that it's time for him to get involved. 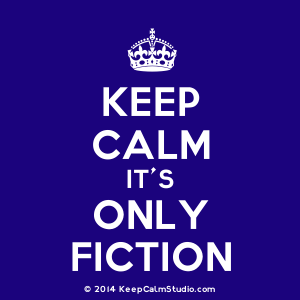 One more thing: if you think I've given away the show here, you're very wrong -- plot twists abound. The bulk of the story is not, as usually is the case, devoted to the investigation but rather to exploring George's character. As he comes to realize "the nature of the weight which was pressing him down," he also begins to understand that "he had exchanged financial worry for a moral burden." It's this "moral burden" that carries throughout the story, and Crofts does an excellent job presenting George as human and pitiable, yet susceptible enough to his own desires to change him into another person entirely. While the story is excellent, I found the ending to be a bit of a let down. While it reveals the "antidote" to the thematic venom that runs through this book, it left me unconvinced in the long run. Edwards notes that the "portrayal of a criminal's redemption" is likely to be less successful than Crofts "experiment with structure," and he's spot on in his assessment. I found the ending to be the only weakness in the entire book. On the other hand, the highlight of this book is in being allowed to be in George's head for most of the story -- where although George's actions may seem reprehensible from the outside, internally they make total sense. 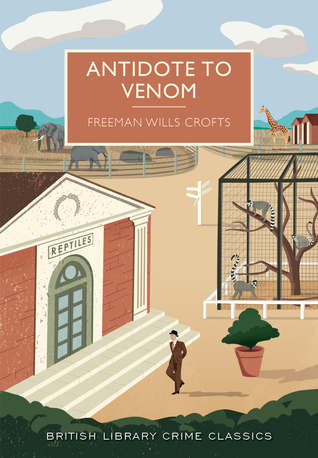 Antidote to Venom is an extremely clever novel and I am just delighted that Poisoned Pen Press has made it easily available. It is part of Crofts' series of novels featuring Inspector French, who made his debut in 1925 with Inspector French's Greatest Case. At number 17 in series order, it is easily readable without having read any of the prior Inspector French novels, so that's a plus. Anyone who is a fan of Crofts, or who enjoys vintage British crime will probably find this book to their liking -- and I recommend it very highly. There are way better places for mystery and noir. I really do this for my own entertainment -- a hobby which I love.